A frustrated homeowner is warning motorists to slow down on his street or face serious consequences. 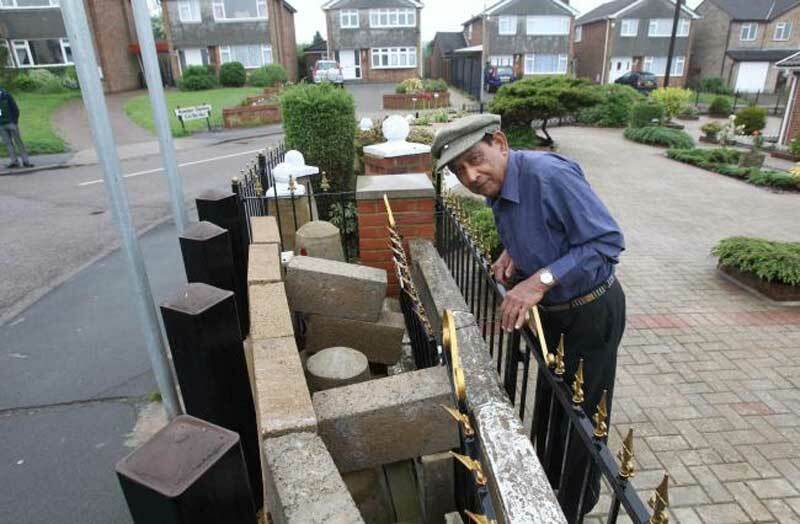 Owen Allan, 77, who lives on Marlborough Road in Braintree, Essex, recently completed a £12,500 upgrade to the wall on the outside boundary of his home after experiencing 13 accidents between 2012 and 2014. Now he is warning people to be more mindful of the road rules or they will be harmed. 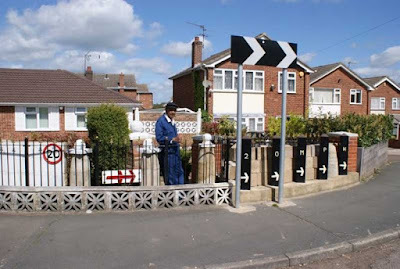 Mr Allan said: "Despite having some calming measures in place, motorists are speeding excessively in a 20 miles per hour zone, flouting the speed limit and existing measures. After a crash in 2012 I fought with the various authorities for almost two years to have some ramps put in place because these are desperately needed to avoid a catastrophic accident. The authorities said they could not afford the dosh - therefore I offered to pay for the costs of three road ramps to be put in place out of my pension. My proposal was categorically refused." Two years after Mr Allan had started work on his defences, in 2014, a drunk driver crashed into his property, smashing directly through the 18 inch concrete bollards nearly killing Mr Allan and his wife in the process. 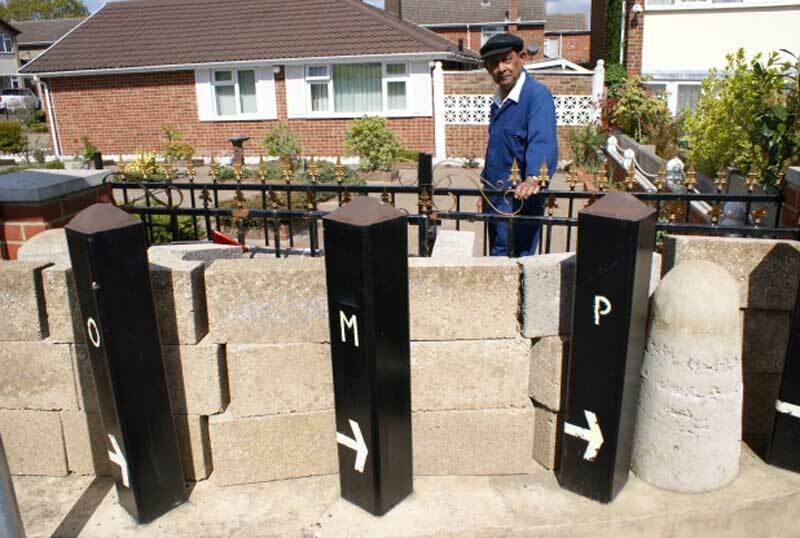 Now Mr Allan has fortified the boundary to be like 'Fort Knox' and he feels anyone who crashes in to the property will be lucky to survive. 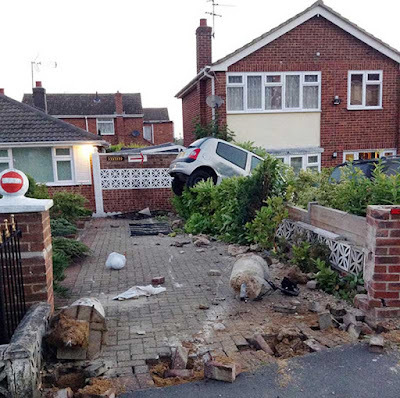 Mr Allan said: "A stark warning goes to drivers and other motorists who travel along Marlborough Road in Braintree. They must slow down and observe the speed limit and other measures in place or a serious accident could happen if they do not.